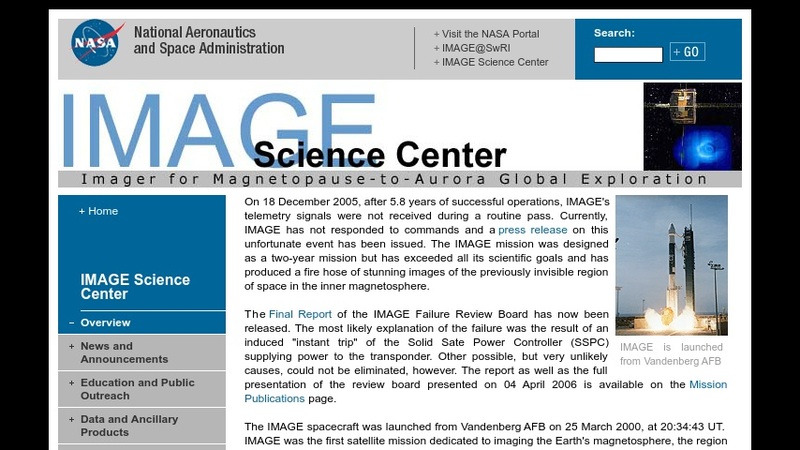 Visitors can learn about the IMAGE (Imager for Magnetopause-to-Aurora Global Exploration) spacecraft, instruments, and mission. Materials include news articles, photos, animations, documentation, and datasets. For educators, there is the IMAGE Public Outreach, Education, Teaching and Reaching Youth (POETRY) site, which provides teachers, students and the interested public with the latest information about auroral science and the study of Earth's magnetic field. POETRY resources include weekly space science problems, classroom activities, math worksheets, a tutorial on Earth's magnetic field, and others.